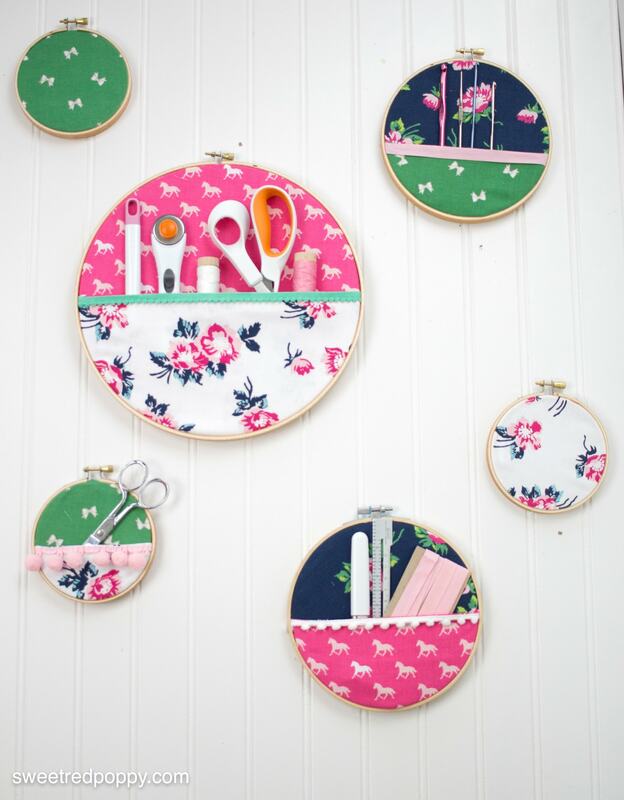 Kim of Sweet Red Poppy is here sharing a tutorial for the most clever Embroidery Hoop Hanging Wall Organizer! 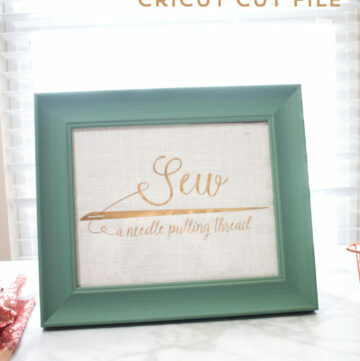 I’m always losing my sewing notions on my cutting table, a set of these hanging on the wall would be so useful! 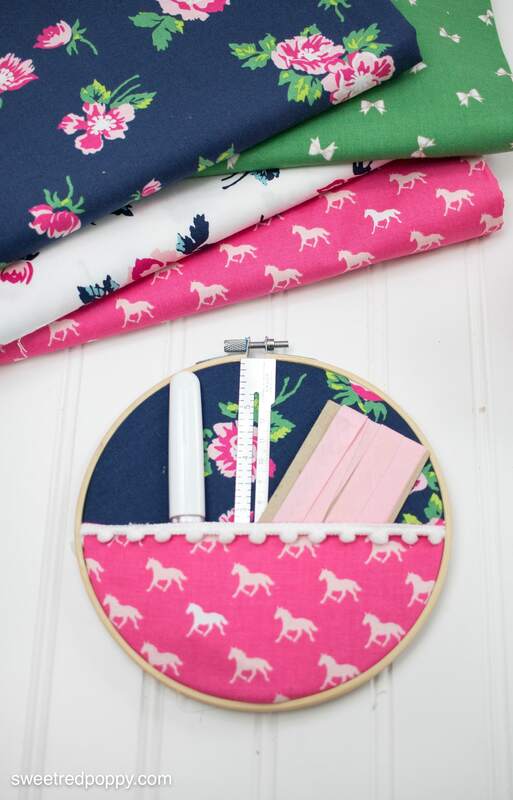 It’s such a fun and creative way to organize your sewing space! 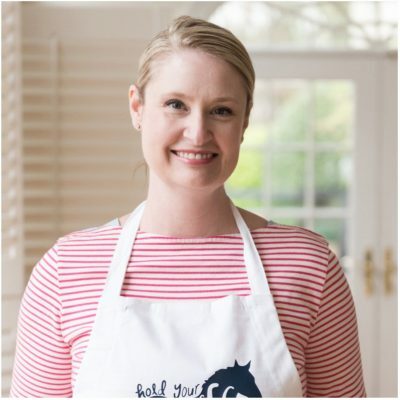 Hi, It’s Kimberly from Sweet Red Poppy and I have another fun tutorial to share with you today! 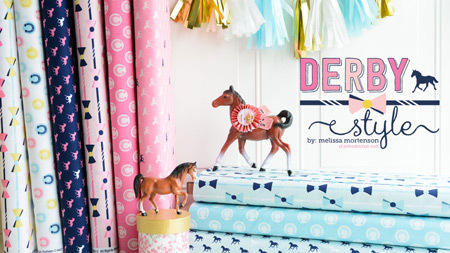 Have you fallen in love with Melissa’s newest fabric line Derby Day? 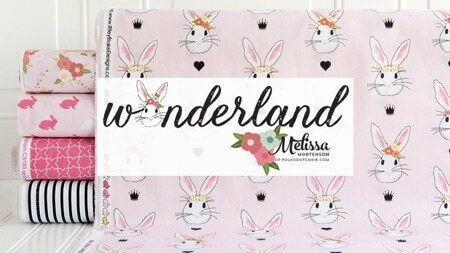 I adore the bright, cheerful colors and the sophisticated prints. 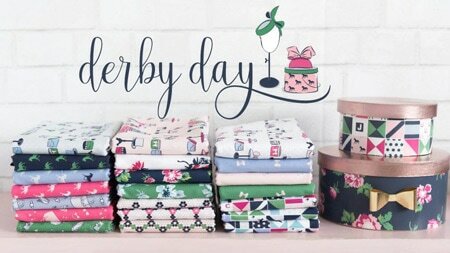 I’ve been waiting not so patiently for the release of this fabric line for months now and I was so excited when Riley Blake sent me these gorgeous fabrics! Talk about a happy mail day! 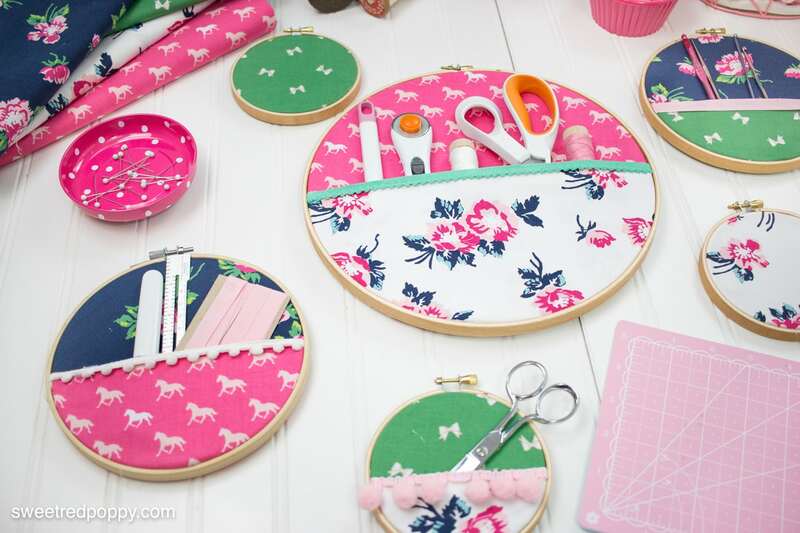 My sewing room has been in need of a little color and these Embroidery Hoop Notions Organizers are the perfect way to brighten up my sewing room! 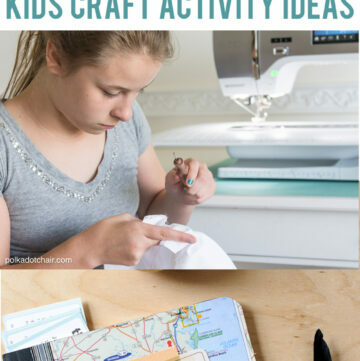 They are quick and easy to make and only take a small amount of fabric. You can see the instructions to make the supplies in video format or you can follow the step by step photos below! Cut two circles of fabric 1-2 inches larger than the embroidery hoop. 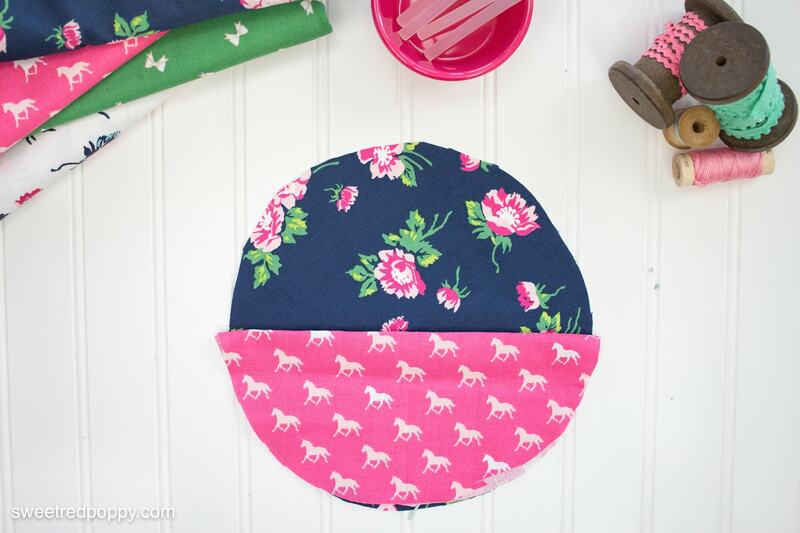 Fold one circle in half and iron the fold to get a crisp crease. Place the folded circle on top of the full circle. Then place the embroidery hoop underneath both pieces of fabric. 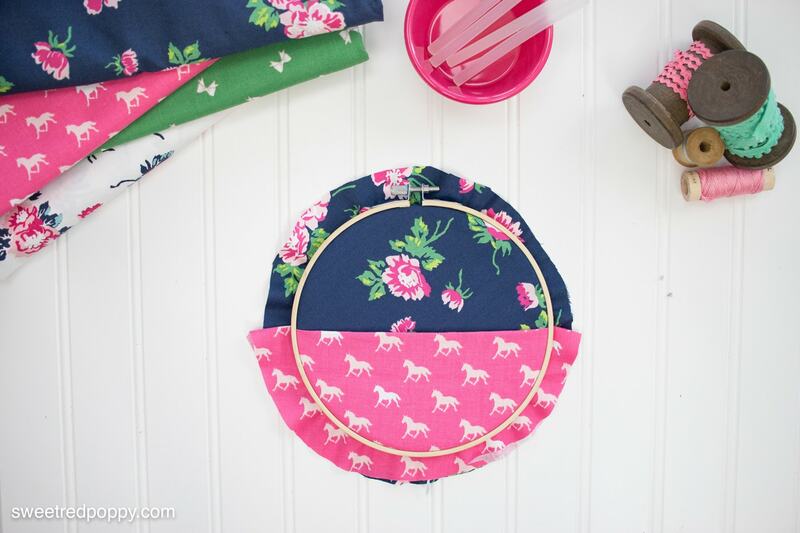 Place the front embroidery hoop on top and gently push it down. If needed, tug the fabric on either side until it’s nice and tight. Tighten the screw at the top of the embroidery hoop and flip it over. With a glue gun, place a layer of hot glue around the circumference of the hoop and a second layer slightly inside of the hoop. Push the fabric around the edges towards the back of the hoop until all the edges have been glued down. 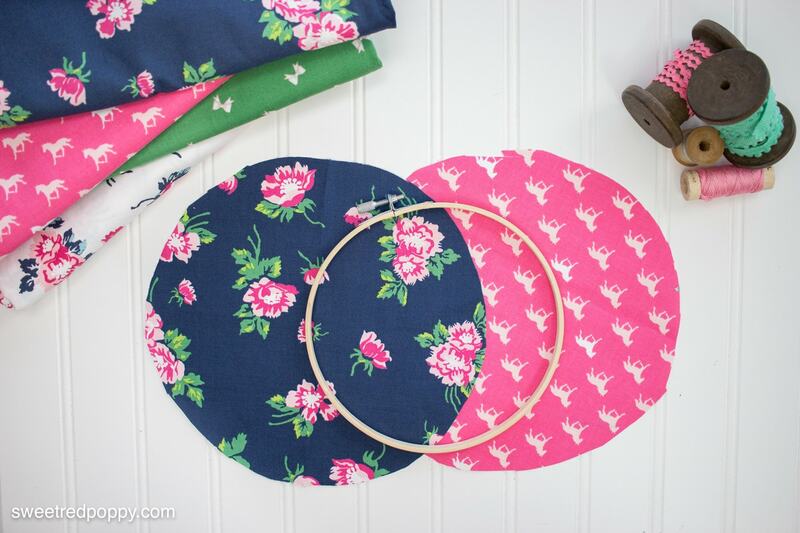 Repeat this process with different color combinations to fill up your sewing room walls. 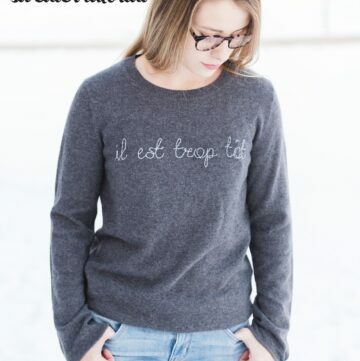 You can even add a bit of trim along the fold of the pocket! 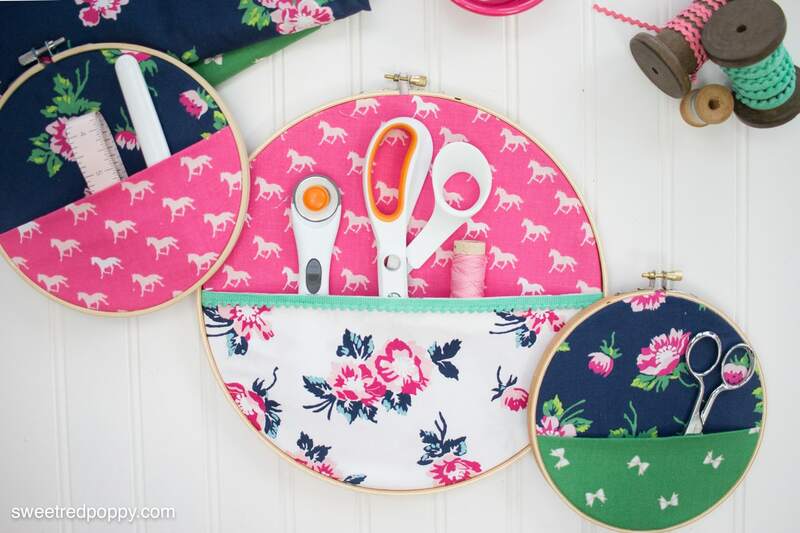 Hang your embroidery pockets close to your sewing machine and fill them with all of the essentials! I hope you enjoyed this tutorial! 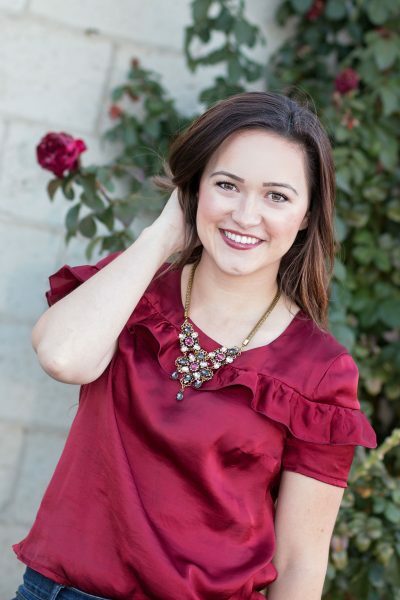 Here are three of my favorite posts from Sweet Red Poppy! Be sure to stop by and say hello! 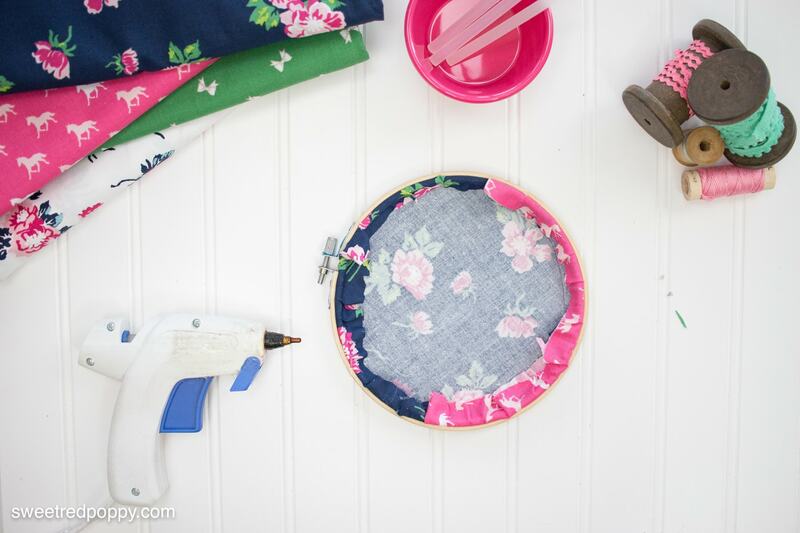 Sewing Hacks, Tips & Tricks Every Seamstress Should Know! These are fabulous, I love them. Gotta make at least one. Thank you. I love how these hoops are so versatile for colour choice or for use – I’m thinking for pens in a writing room or even beauty care items. 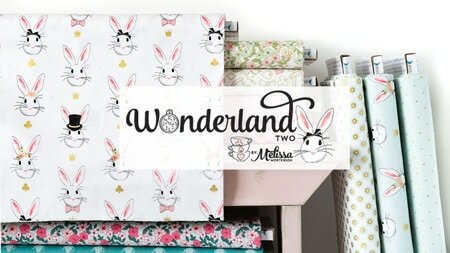 Plus they’d make practical and pretty gifts. Thank you for sharing this!